Less than a 5 minute drive to downtown Asheville, this contemporary home is nestled in a private setting just off Town Mountain Road. Home is very comfortable and inviting, with western views and lots of natural light streaming through walls of windows. Great place for family and friends to gather or a quiet cozy getaway just for you. Oversize garage perfect for small workshop. New kitchen renovation in 2017. 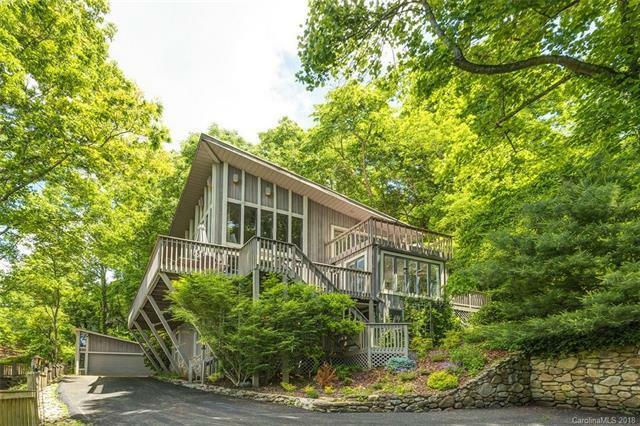 The entire upper floor is an owner's retreat, complete with study and private deck. $30k decorating/painting allowance is available if under contract to close by the end of August.